When you're searching for that perfect pair of goggles, you want to consider a variety of different factors. How they fit with your helmet, the glare, and the style are just a few things to consider. 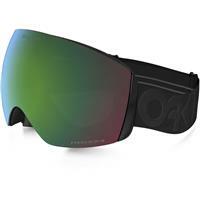 For a great pair that you can count on throughout an entire day out on the slopes, consider the Prizm Flight Deck XM model from Oakley. 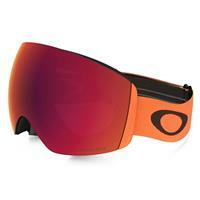 These goggles have an array of features to keep you safe and able to enjoy every moment on the mountain. 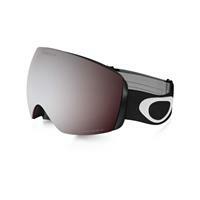 These goggles have excellent specs to give you great fit, comfort and functionality. With a design that has an anti-fog coating on the lenses, you never have to worry about limited vision. Goggles that do not have this type of coating can fog and cause impaired vision that could lead to accidents. Skiing and snowboarding are dynamic sports that have constantly changing environments and effects on your experience. You need the ability to quickly and easily change your lenses to go along with those changing conditions. As the sun moves in the sky, there may be different amounts of glare. When you change out the lenses, you're better able to cope with any condition and fully enjoy your experience. Finding the right pair of goggles can be a challenge. 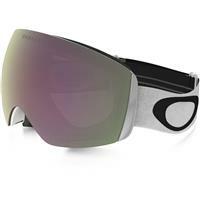 If the Oakley Flight Deck XM Prizm goggles have all the features you need, place your order today! The Flight Deck XM (particularly the Prizm Saphire/Jade/Torch lenses) with isout a doubt my favorite goggle to ski with- it is the perfect fit for a smaller/medium size face and is comparible with any helmet. The frameless lens offers more periferal visibility which is ideal. Highly reccomend! Love the visibility you get from this lens. The prizm lens offers clarity in all snow conditions. I love these goggles, they fit really nice on your face. Also the fame to the lens doesn't let air in which is really nice when your going fast so you don't tear up. This is the first goggle I've had that does not block up my field of view, I absolutely love them. After wearing these I can't imagine wearing any other goggle. I have the whiteout frame and the prizm rose lens, but there are seemingly endless combinations for these. 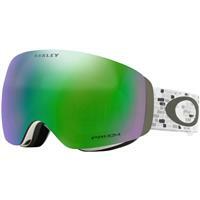 These are virtually frameless and that is a game changer out on the mountain. 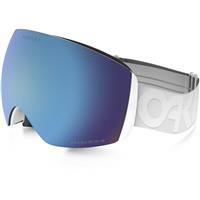 Plain and simple, Oakley's Prizm technology is in the running for the best on the market. If you're looking for a versatile goggle, you've found it. Prizm provides greater contrast and visibility in snow and automatically adjusts to changing light conditions so you don't have to switch out your lenses. These goggles are also impact resistant. Took a nasty fall last season and face planted off a rail, not a single scratch on these guys. Aside from looking awesome, these goggles are extremely functional and safe. Always will be my go-to goggle. The Flight Deck offers great visibility and looks great with the frameless design. The Prizm lens provides great versatility if you only want one lens. If you have a larger face, look at the Flight Deck. I love these goggles. The prism lenses work fantastic. The problem I was having with other goggles was that they were hard to see in low light conditions. All of my problems went away with these. Not to mention they are comfortable and look great. I love this goggle!!! 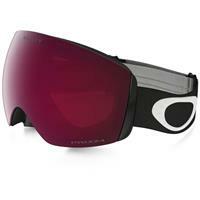 With a smaller face this goggle provides amazing visibility because the frame is so minimal. The rose prism lens is great for low light and helps the contrast in the snow pop. Used the lens at Stowe late in the day during a light snow and the runs looked really clear! 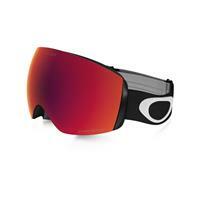 I will always love oakleys with their clarity of lenses and new tech they bring to the table. This is the best google I've ever owned. The PRIZM lens lets me see the snow in all conditions. The goggle not only looks great, but makes scoping my lines a breeze! This goggle is my first high end frame and it is absolutely amazing. The XM is great for smaller faces and provides complete coverage. 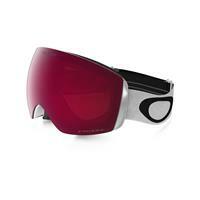 One of the best lenses to wear with the frame is the prizm rose. It is the lens I recommend to everyone who is East coast skiing or snowboarding. If you like hem big, these are your goggles! Pros: Fit great and look great. These are great looking, comfortable and fit easily over my glasses and the Prizm lenses are great. They let me see the texture of the snow better than any other lense I have ever used. Great goggle that has become my go to. Love the prism rose lens for the cloudy or snowy conditions. Best lens I have ever used for low light. Really like the frame less style, the field of vision is huge. For years I've been buying goggles trying to find the perfect size goggle for my face, first time I put the flight deck xm I was hooked. The PRIZM is night and day I was so comfortable with this combo of lens and frame I had to buy a second pair. The Prizm lens are great and the frames allowed me to have great vision all around, but because of that, the goggle takes up most of my face. I have a small face and i thought the XM's would be a better fit for me, but I'm not a big fan of the buggish look it gives. I like the lens too much to retire them though. They fit perfect with my helmet and the helmet helps distract how big the frames are. The detail i get with the lens are better than any goggle i've ever owned though and i have lens for cloudy days and lens for nice sunny days and i love them! Just wish the frames were a lot smaller. I've worn a lot of goggles in my time and it's easy to say these are my favorite. Between the sleek design, easy lens changeability and the ventilation that these goggles offer, I'd say it's impossible to wear any other goggles. A goggle that looks awesome. The Prism Technology allows for a lens that can do it all. The Prizm on these goggles expands your vision on the mountain tremendously. The XM frame on these flight decks are also much more realistic with wearing most helmets. These goggles are awesome. The Flight Deck XM, being the smaller version of the Flight Deck, is great for women and men with smaller heads. It's no frame look is something customers are highly interested in and with that, you have a very wide peripheral vision. The Prizm lenses are also a great feature to these goggles. It's a newer technology that helps improve and enhance with flat light, bumps, glare and your overall vision. Great goggle! Prizm makes the world go round...at least now it does. Awesome fit, look great, depth perception is much improved in many lights. Saves having to always take a spare lens with you. Oakley is top notch. Great field of vision. The prizm lens offers amazing details of the snow contours. The perfect fit for a smaller face. The prizm lens makes all the difference in the world you can see all the snow details. 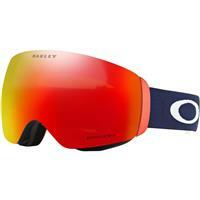 Thank you, Oakley, for coming out with the best goggles/lenses i have ever had. These goggles have a great fit on 99.9% of the people who try them on too. They are really comfortable, super styley, don't fog, and have a super wide field of vision. And the Prizm lens technology truly is a game-changer; enhanced visibility, clarity and definition ( you can see everything!!) and the fact that you hardly ever need to change lenses makes these superior to any other lens or goggle out there. Love the look of the Flight Deck goggles, so the XM style allows me to have that, while not having the goggles be too big on me. Also, the lens is perfect for brighter conditions as well as partly sunny. These goggles look amazing and perform perfectly. The prizm lenses make everything look great. very comfortable as well. Love the colors and the frameless look of these. The XM fits my face better, but it would help to try both on before purchasing. This goggle is amazing.I was impressed with the field of vision this google gave in a smaller frame. The Prizm lense has made life so much easier, since i dont have switch my lenses as often. The smaller frame of the Flight deck is also compatible with helmets for those people with smaller faces as well. 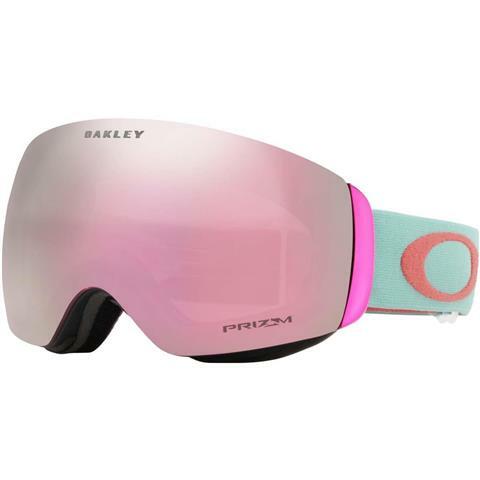 I got this goggle with the Prizm Rose Lens and they have worked great in bright sun as well as on low light days. I also have another style of goggles with the Jade lens which might be slightly better in super bright light (sunglasses) but aren't quite as good in really low light. Everyone's eyes are different so check them out. 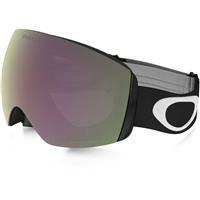 The first time I wore Oakley Prizm goggles, I was amazed by the amount of detail the Prizm lenses enhance. Small bumps or uneven parts of the terrain and small rocks are easily visible, compared to my old, cheap goggles. XM was a great fit. Great goggles, look awesome and perform awesome. Went for XM goggles because I have a generally medium head and was worried the regular Flight Decks would be too big. Fit is great, especially with my helmet. Will be looking to buy a second lens for blue bird days! Cons: Lens changeout requires thing gloves because of fingerprints. I previously used cheap goggles so this was a major step up. The PRIZM lenses are incredible. Helps a lot with snow detail, even when its bright. The changeout system isn't easy at first, but you get the hang of it and then it isn't a problem. I suggest having cotton gloves so you don't get fingerprints all over the lenses.